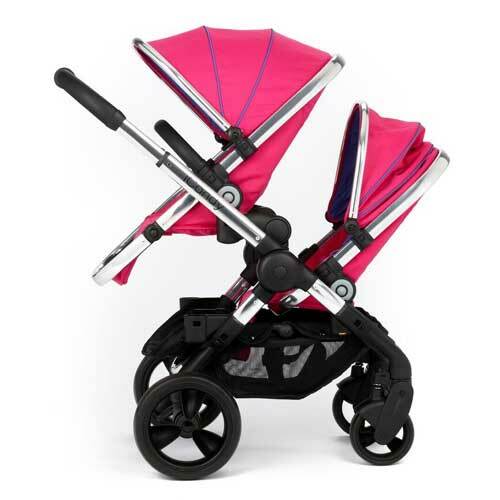 The fabulous Peach Blossom has just got even better! 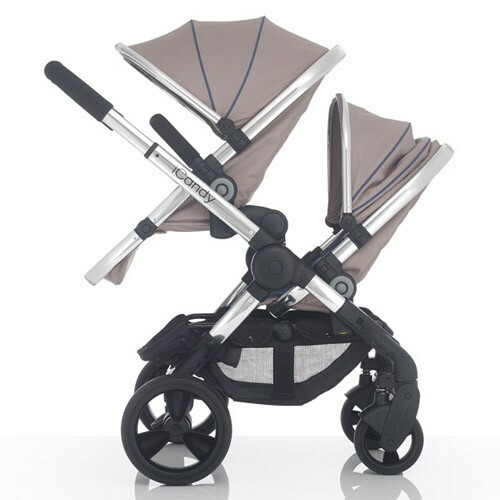 The Peach Blossom 3 is a single pushchair which converts into a twin or sibling option for 2 children. 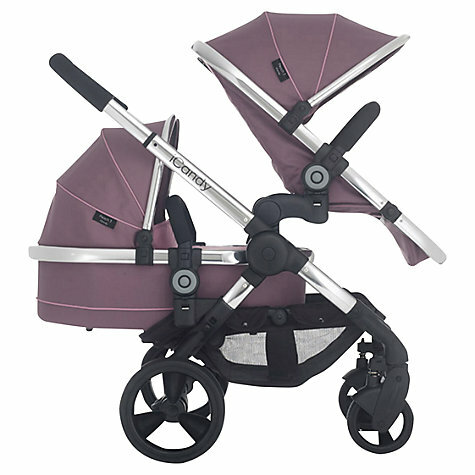 The Peach Blossom 3 is a travel system with the flexibility of pushchair seats, carrycots and car seats. 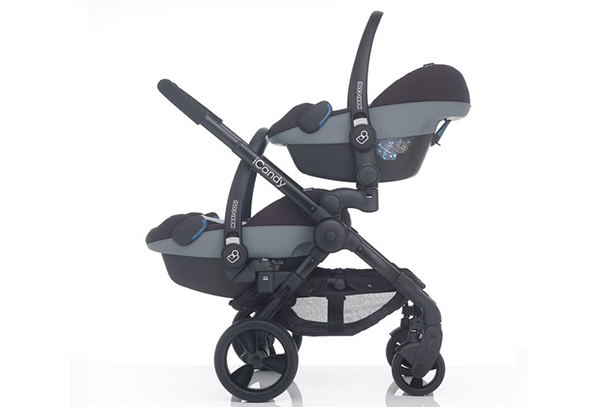 However the Peach Blossom 3 has new small convertor bars which elevate the main seat in single and tandem modes, and allow room for both seats to parent face, as well as to forward face.There is more room between the seats offering better access to the lower child. 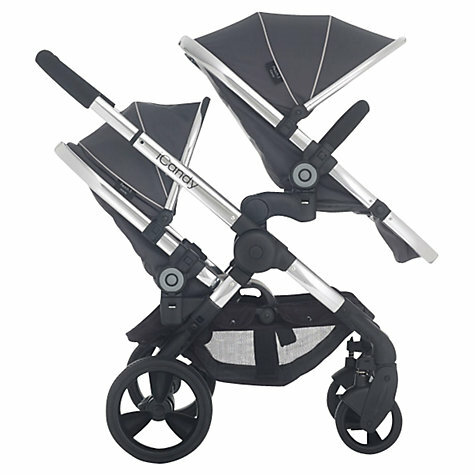 There are new wear resistant tyres and a new matt black and gunmetal grey chassis options for 2016. The handlebar and bumper bar are leatherette for 2016. Stylish and head turning. 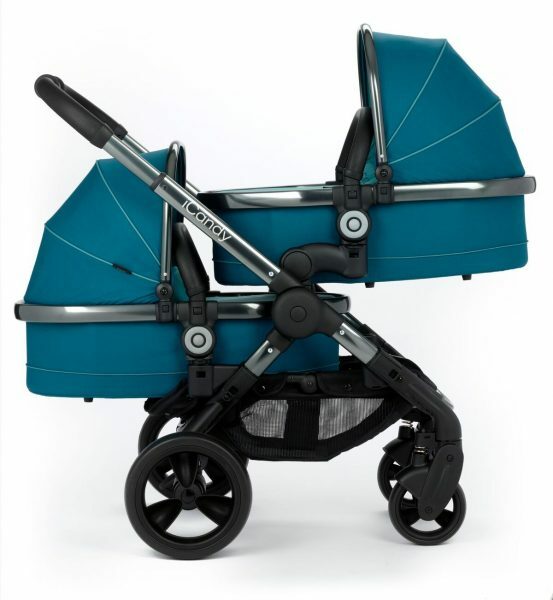 Compact, sturdy and light to push. 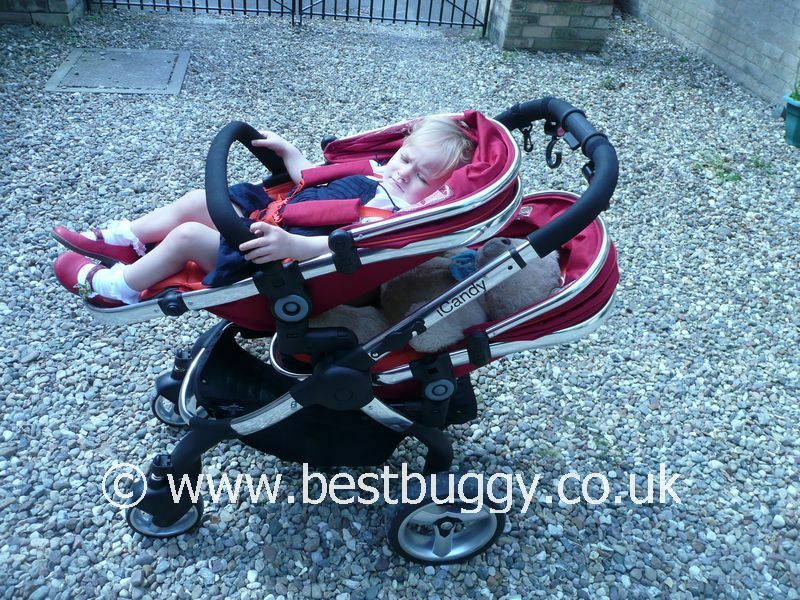 Easy to manoeuvre and push even with older children on board. 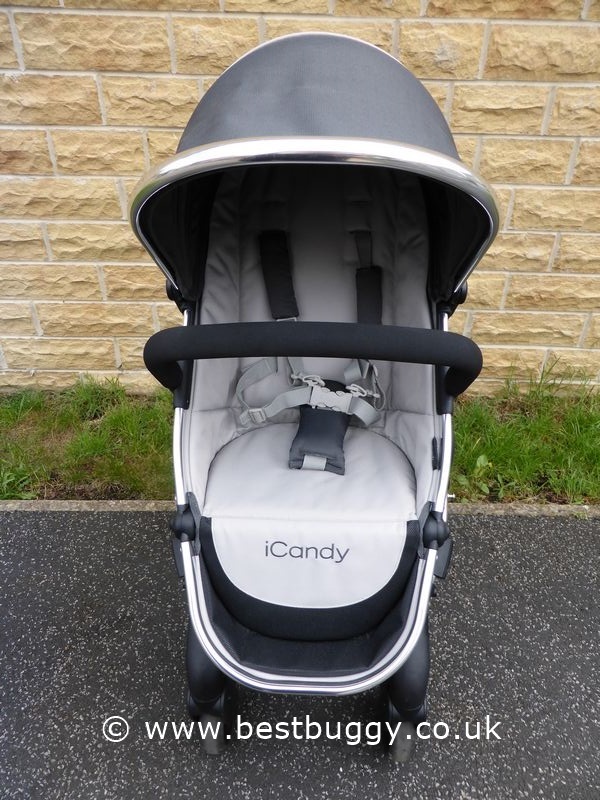 Lots of options using the carrycot, car seat and pushchair seat combinations - and even more with the new 2 seats parent facing option! 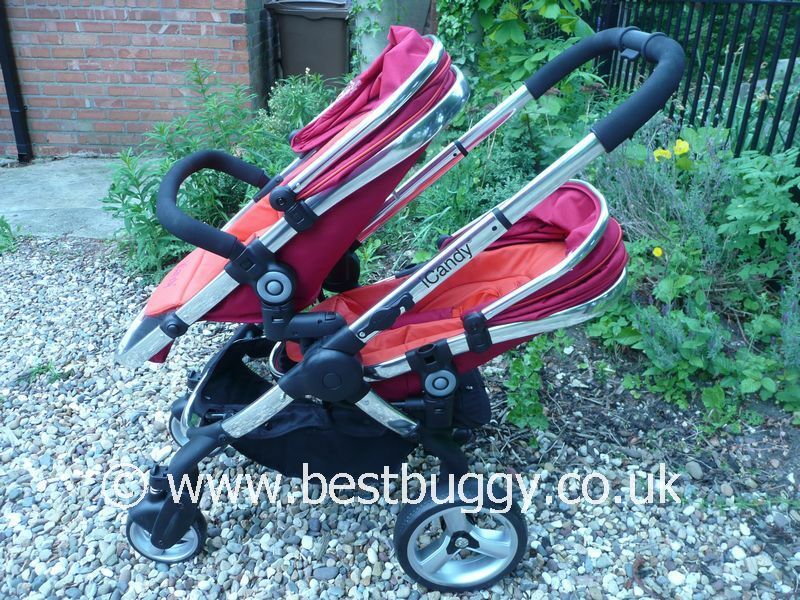 Easily switches from single to double pushchair. 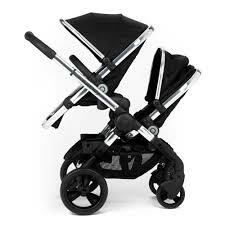 The Peach 3 can be folded with the lower Peach Blossom convertor brackets left in situ thus it is easier to use. 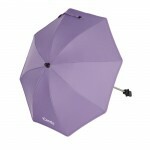 Lots of colour options. 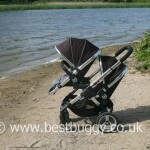 The Peach Blossom 3 is superb! Expensive. Folds as separate components. 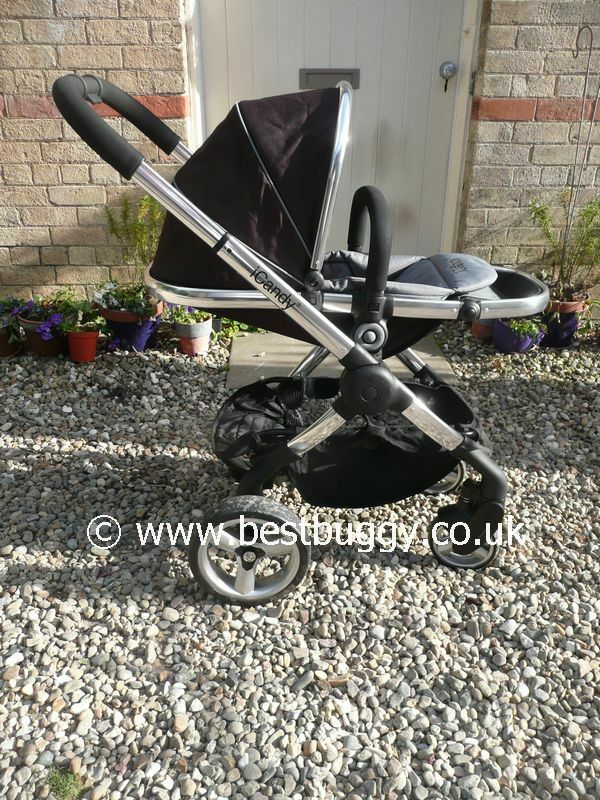 Pushchair seat hood is used as the carrycot hood. Black Magic, Bubblegum, Butterscotch, Claret, Honeycomb, Olive, Peacock, Primrose, Royal and Truffle for 2016/17. 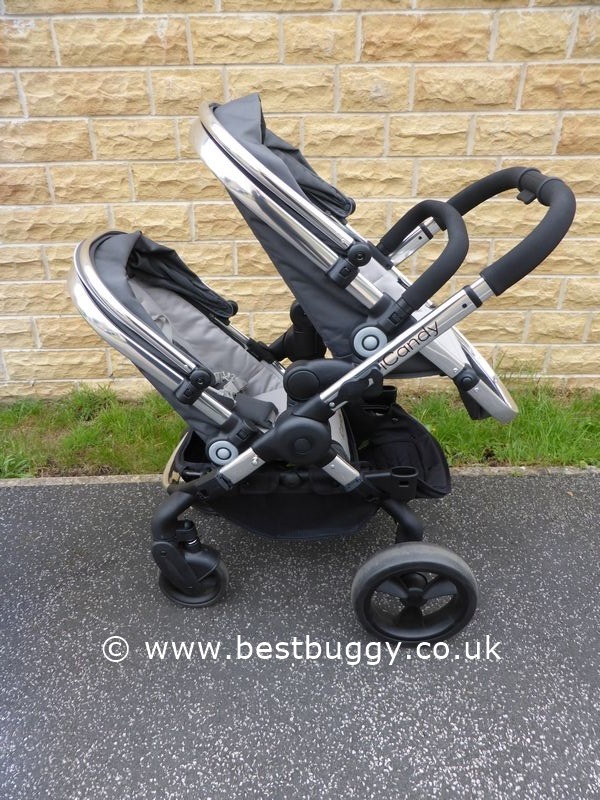 The 2 seats can either both parent face, or forward face. The seats can not face each other or go back to back. Unique one hand fold mechanism, compact folded size similar. 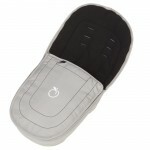 Carrycots suitable for overnight sleeping with a ventilated mattress. Liners can be removed and also changed for a different colour. 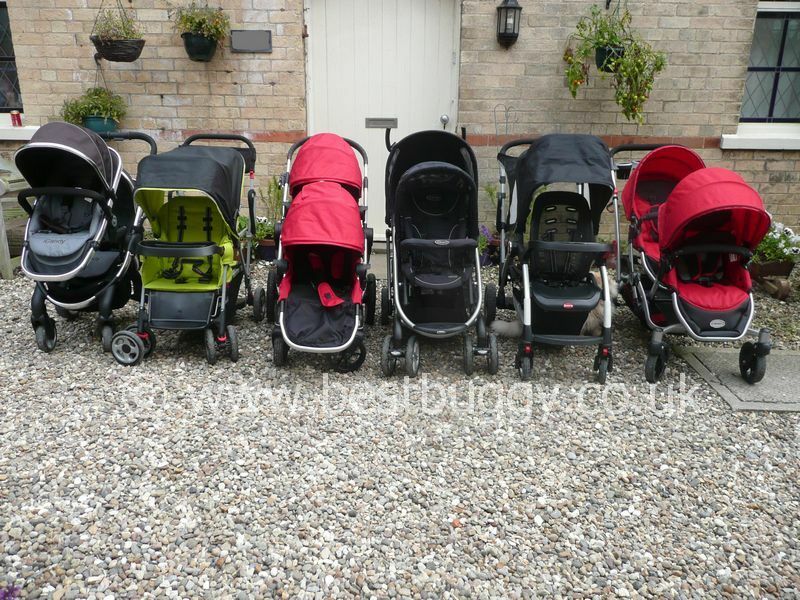 Measurements are for the single stroller. 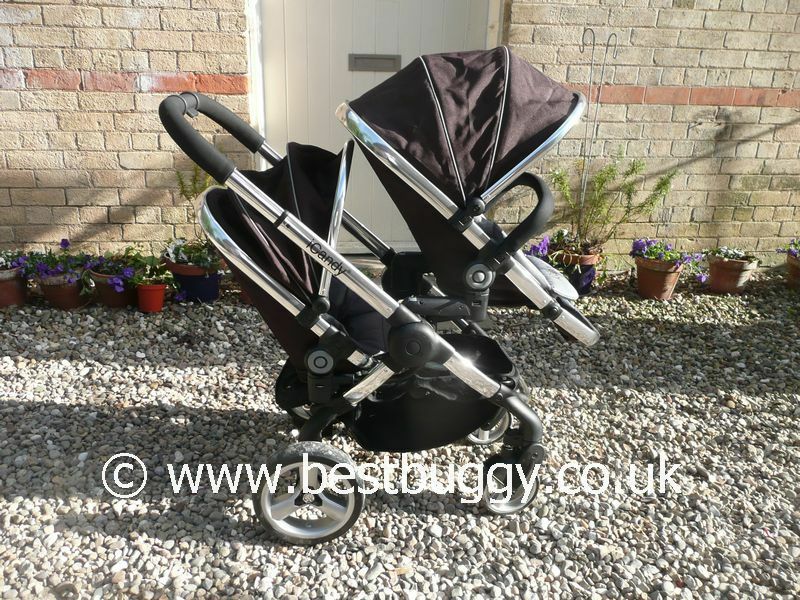 The convertor adaptors and elevator adaptors can be used on a Peach 2 / Peach Blossom 2 or on a Peach 1 which has had an extended basket adaption done and which has a Blossom 2 seat on it. 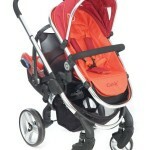 The Peach Blossom 2 is a single pushchair that converts into a twin or toddler / baby travel system. 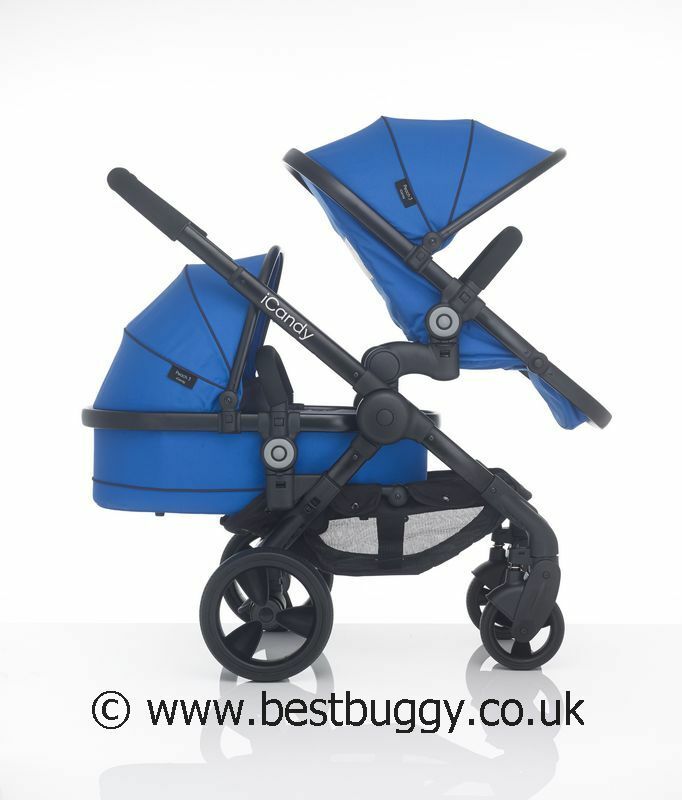 Offers flexibility of modes with carrycot, car seat and pushchair seats. 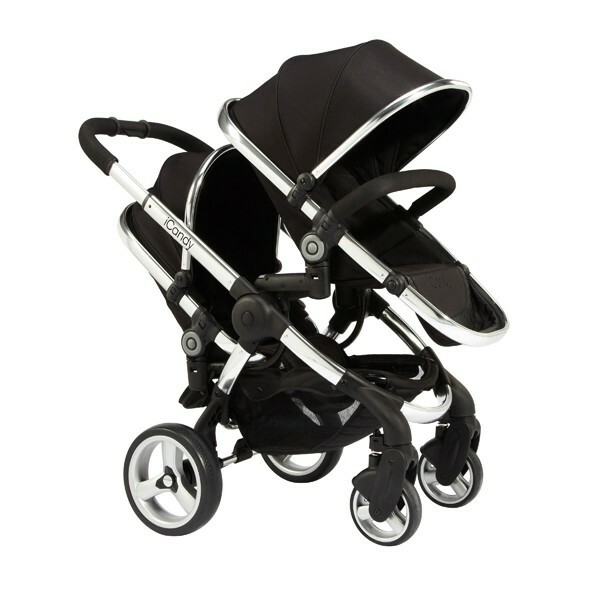 The styling, quality fabrics, and polished aluminium make for one of the best looking pushchairs on the market. 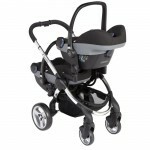 Light and very easily manoeuverable even with older children in. 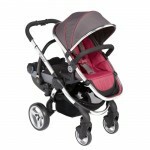 The new 2012 Peach Blossom / Twin 2 offers two equal sized, upright seats both capable of taking a weight of 15kgs. 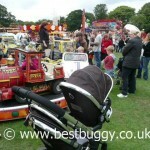 The seats are well spaced offering greater comfort to the children. 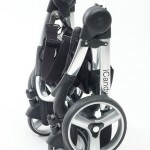 The Upper and Lower Carrycots are now the same size. 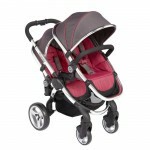 The 2012 Peach Blossom / Twin will also take up to two Maxi Cosi Pebble Infant Seats. 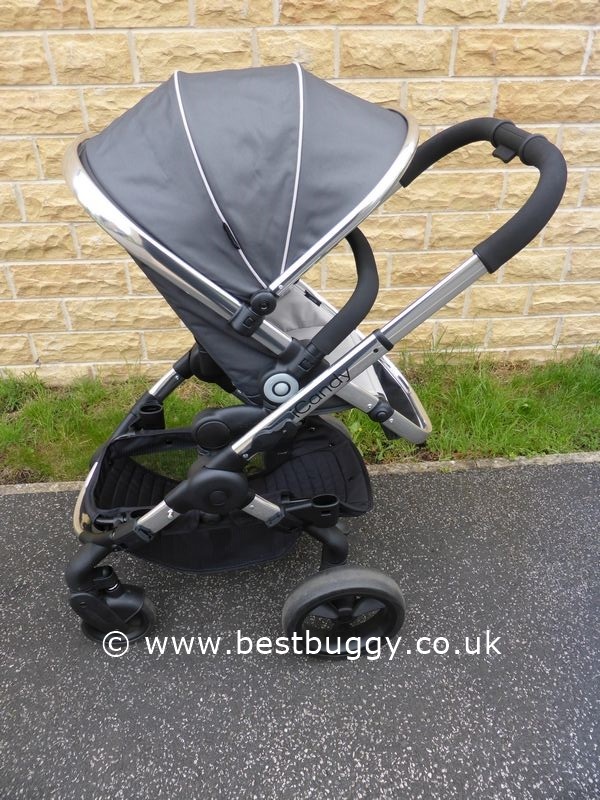 A great looking pushchair. Compact. 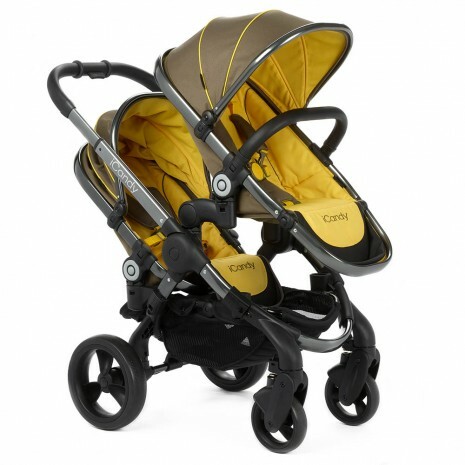 Light but sturdy. 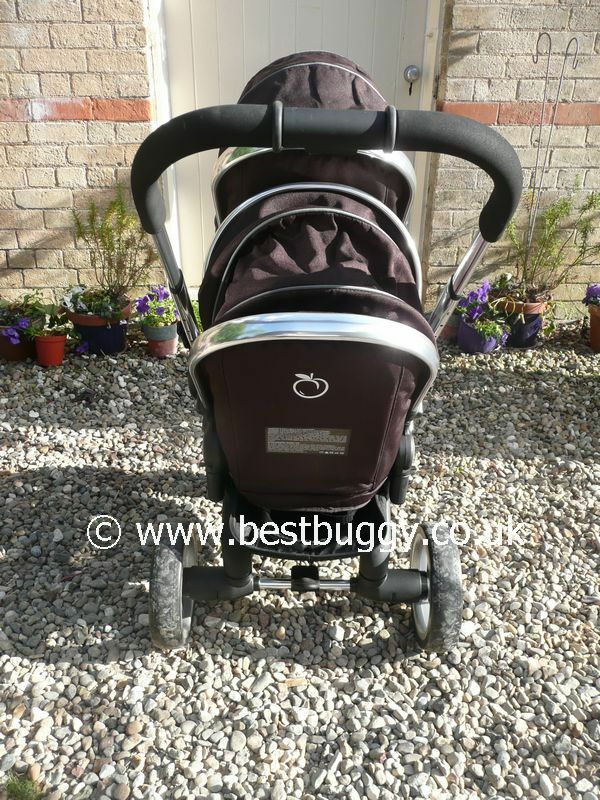 Pushes easily and handles superbly even with older children on board. 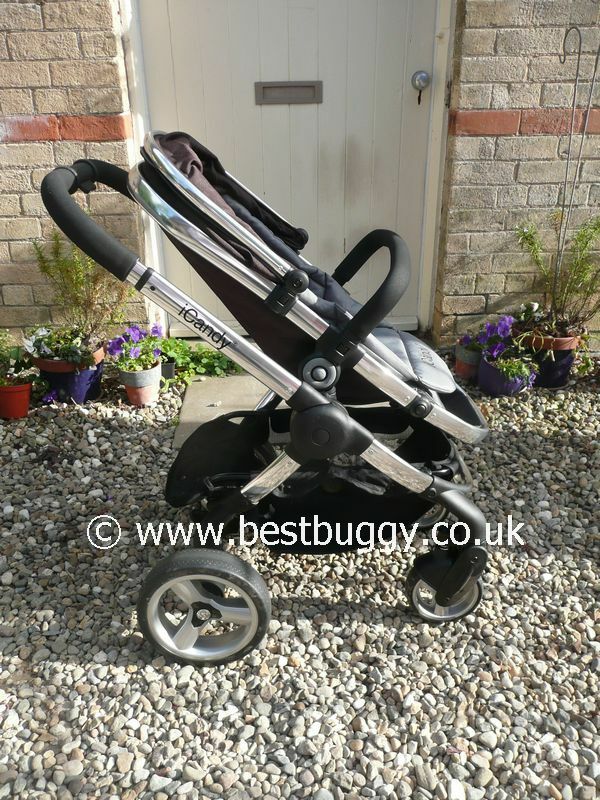 Travel system with various combinations for carrycot, car seat and seating options. 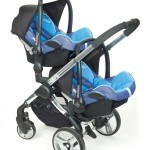 Great for twins from birth to approx 3 years old as well as for a toddler and baby. Easy one handed fold to a compact size. 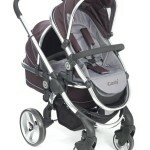 Extendable soft comfy handle. 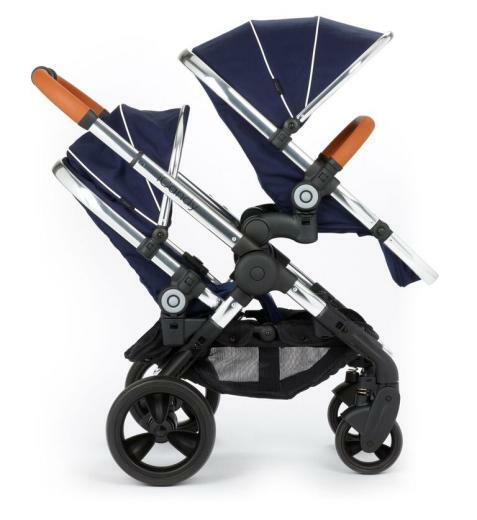 Easily altered into a single stroller. Highly recommended! Expensive. 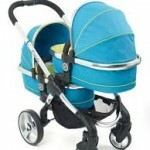 Basket is restricted in Blossom or Twin mode. Lots of components to take apart and to fit but they are easy to do. 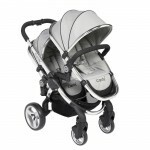 Access to a baby or lifting an older child into the lower position may be difficult. 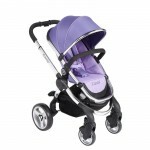 Large low profile, durable, no puncture, cushioned rear tyres. 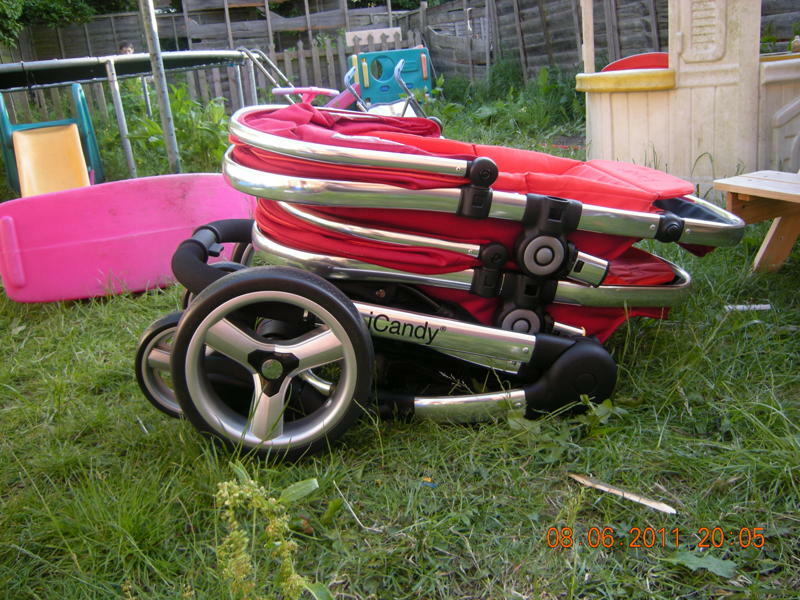 Swivel or fixed front lockable wheels. 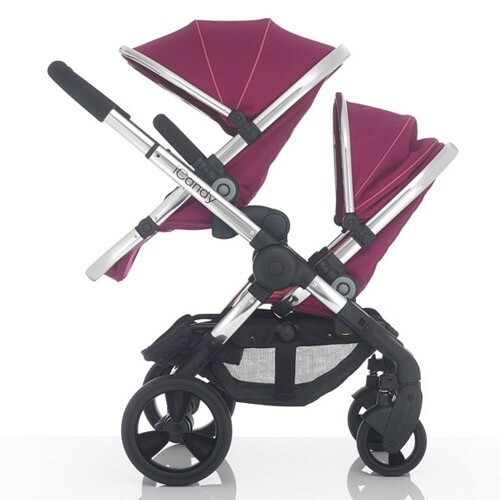 Black Magic (solid black); Berry Bon-Bon (Dark grey with fuschia contrast); Silver Mint (Silver grey with black contrast piping); Parma Violet (dark violet with light violet contrast) in the UK hopefully from mid 2012. 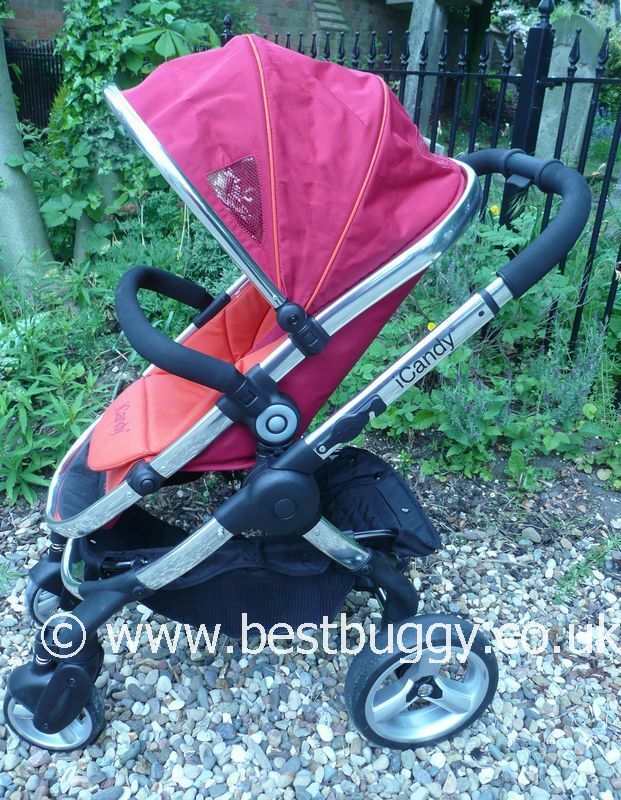 The current Peach Blossom 1 will remain in the UK until approx the end of 2013 in the Tomato, Blackjack and Sweetpea colours but with the old Blossom kit. 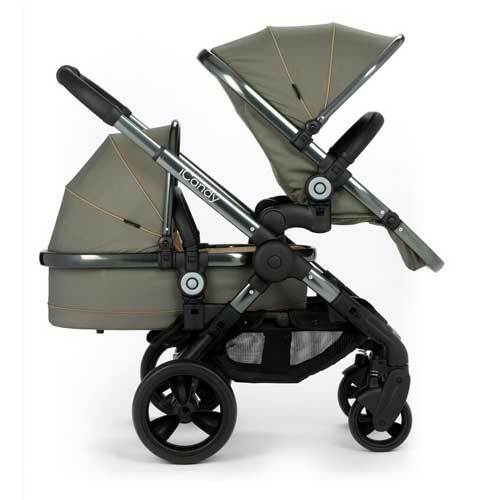 In the US and Australia the Peach Blossom 2 is currently available in Tomato, Blackjack and Sweetpea. 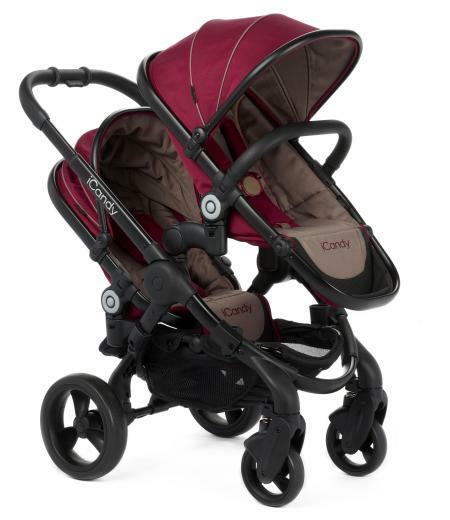 Can now take two Maxi Cosi Pebble Infant Carriers (as well as the Cabriofix). 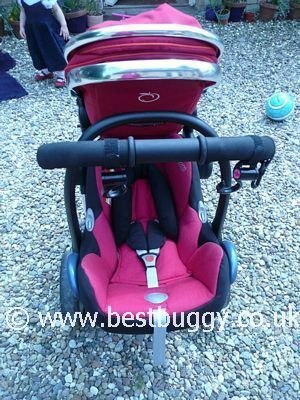 It is possible to now fit the seats / infant carrier in any order ie you no longer have to fit the lower seats first and then the upper ones. 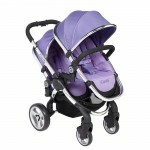 This means you can remove the infant carrier without disturbing a child in the upper seat. 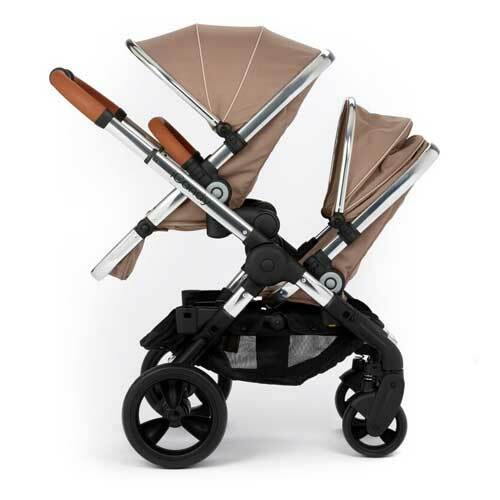 The changes to make the the lower seat of the Peach Blossom upright have transformed the Peach Blossom's use and longevity especially for older toddlers. 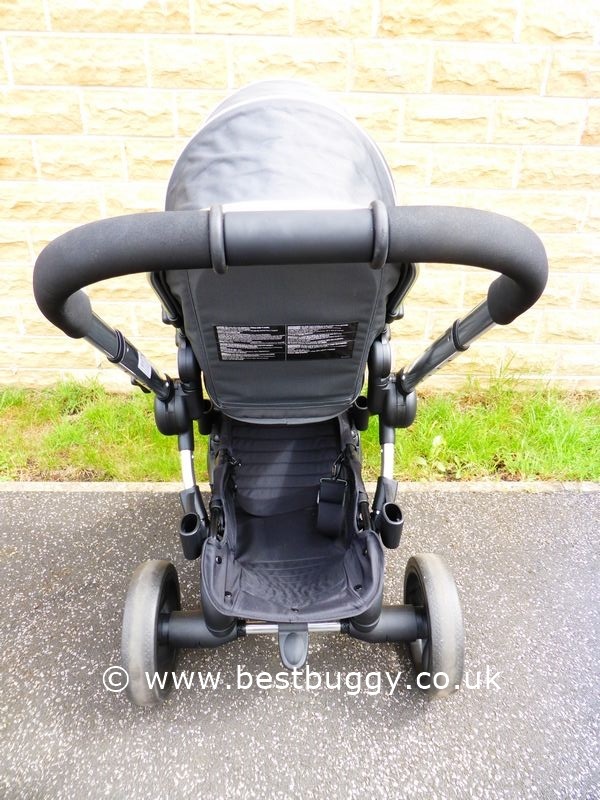 Attention has been paid to the comfort of older toddlers including longer safety harnesses, hoods which can be moved upwards, and unzippd at the back to create more head room, and removable seat liners offering extra seat room. 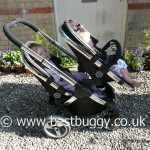 The Peach Blossom 2 is now a superb tandem. 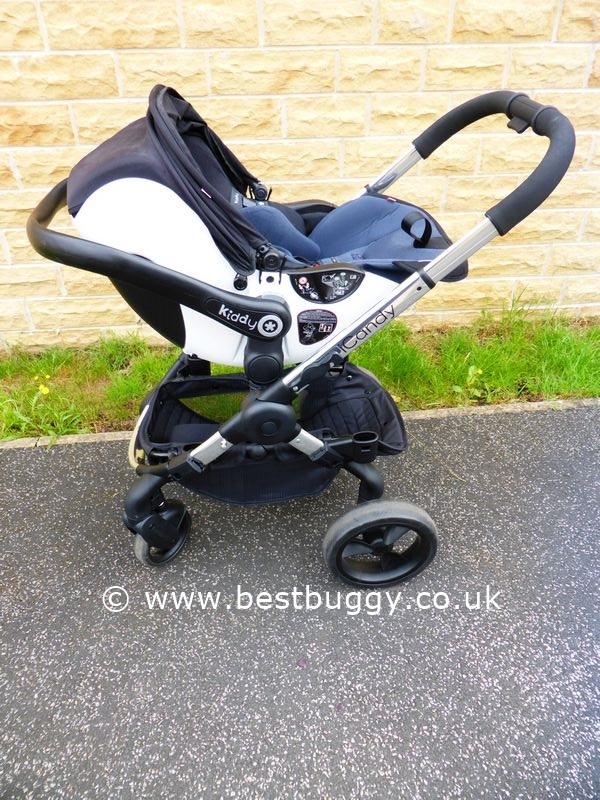 Please note: the Blackjack Peach Blossom 2 shown in the photos below is a one off pushchair that was given to Best Buggy to test out. There will be no more made in the UK with the new Blossom kit on in this colour way. 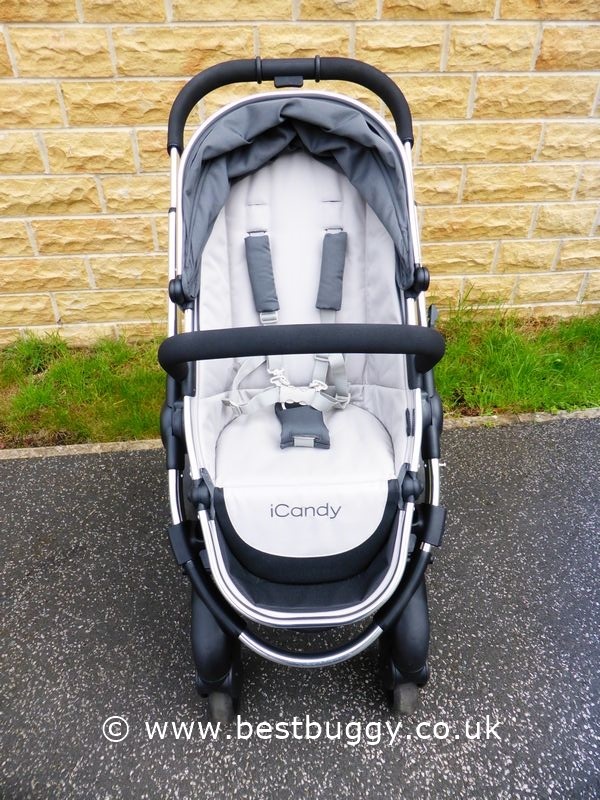 iCandy Peach Blossom 3 – First Parent Facing Photos! 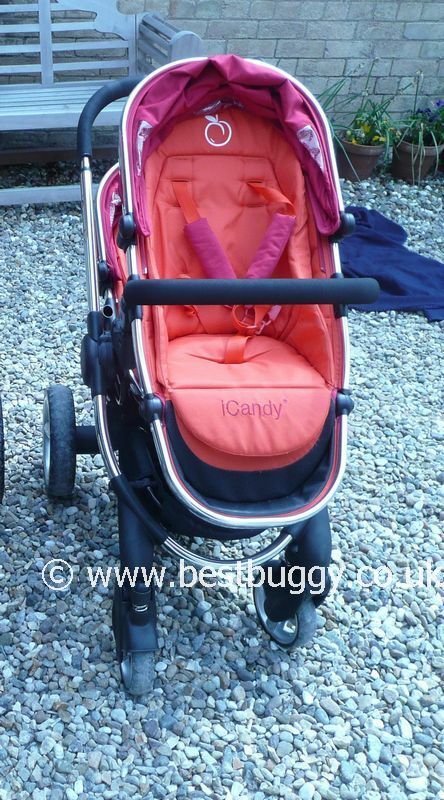 iCandy Peach – Tall & Large Seat! 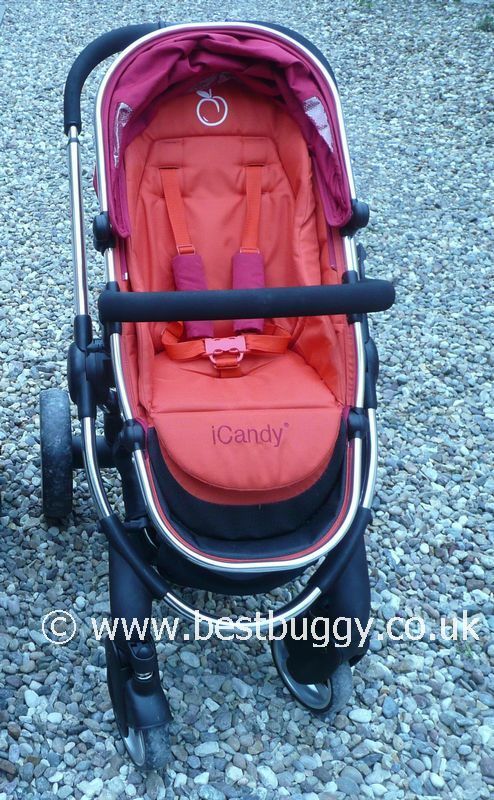 The iCandy Peach is a single pushchair that converts into a twin or toddler / baby travel system by adding a Blossom kit or Twin kit to become a Peach Blossom or Peach Blossom Twin. 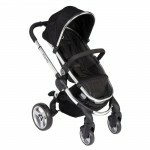 It offers flexibility of modes with carrycot, car seat and pushchair seats. 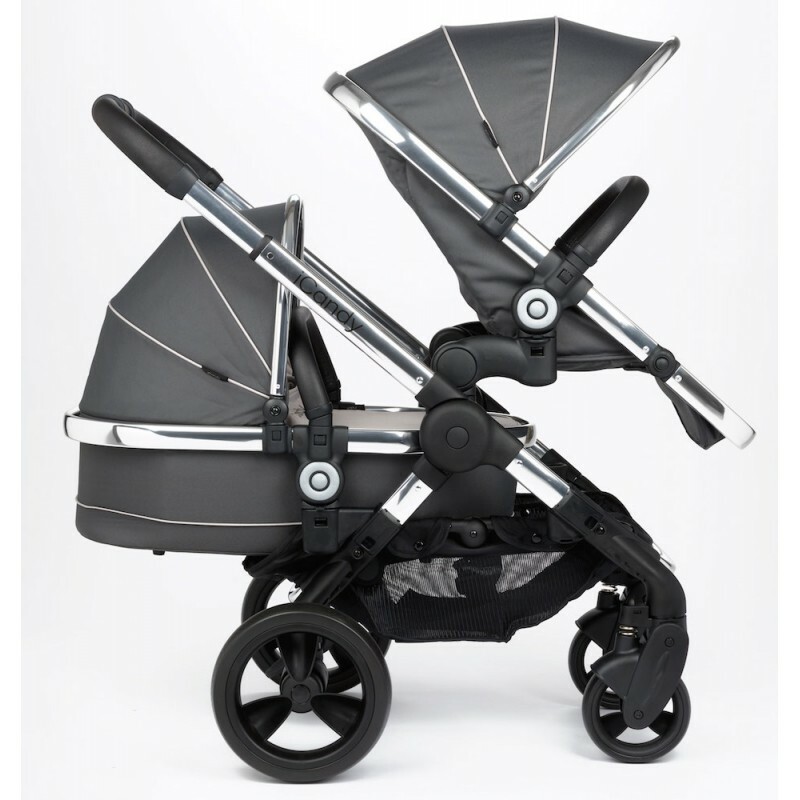 The styling, quality fabrics, and polished aluminium make for one of the best looking pushchairs on the market. 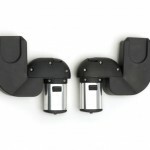 Light and easily manoeverable. 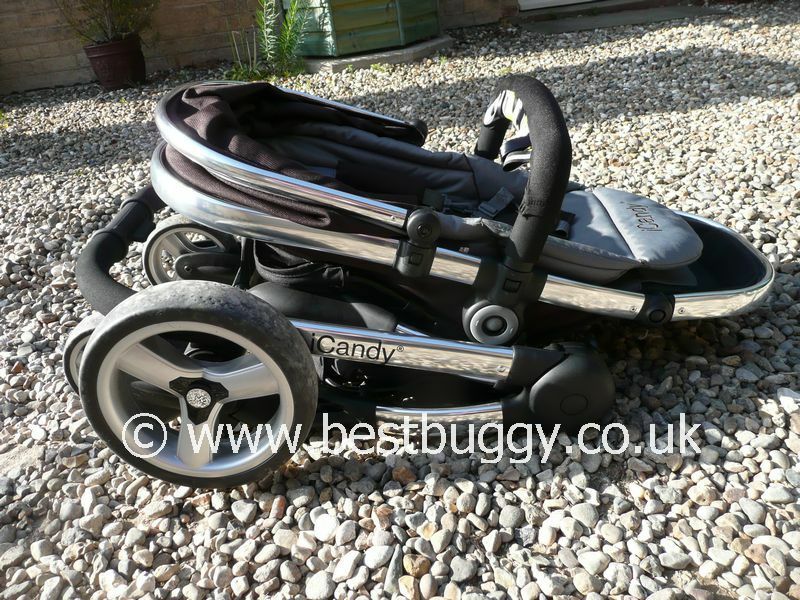 A great looking pushchair. Compact. Light. 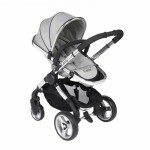 Pushes easily and handles great. 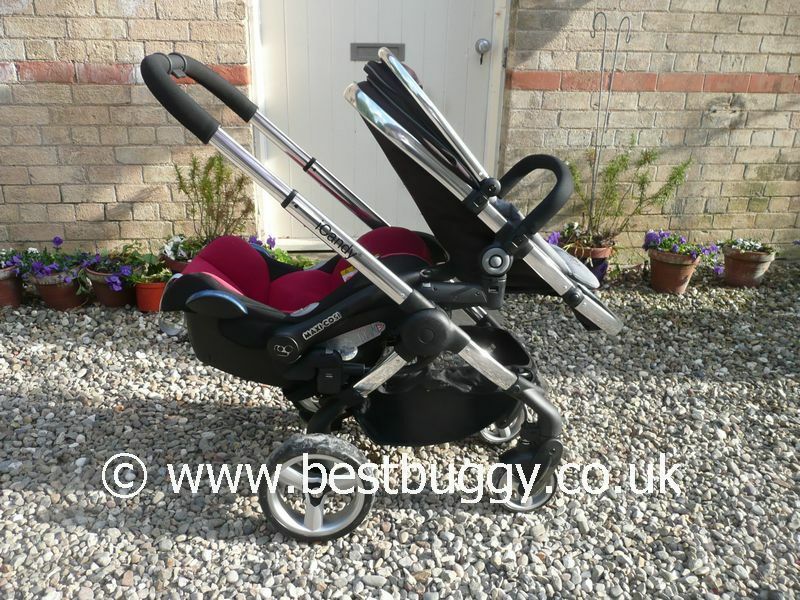 Travel system with various combinations for carrycot, car seat and seating options. 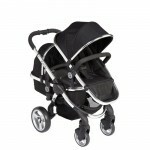 Especially good for newborn twins until approx 18mths - 2 years old. Easy one handed fold to a compact size. 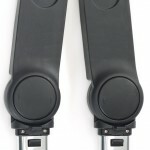 Extendable soft comfy handle. 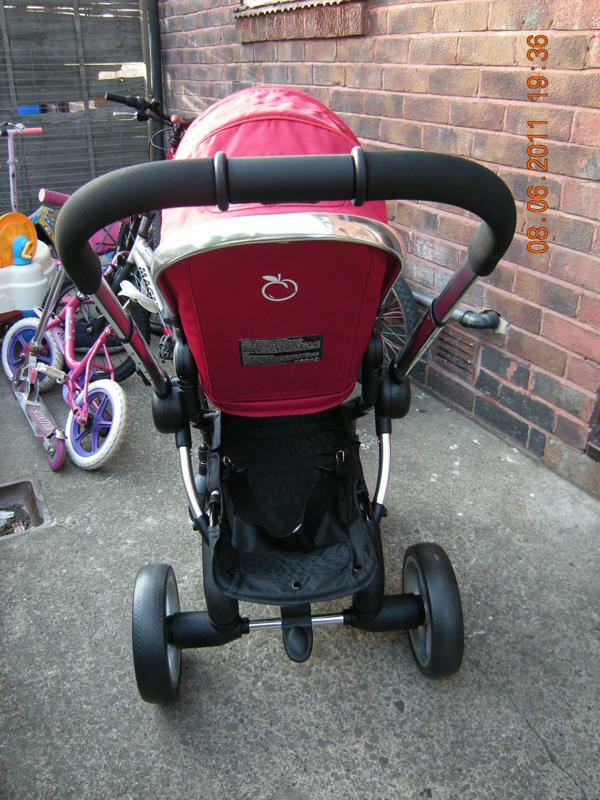 Easily altered into a single stroller. Back Seat only reclines. 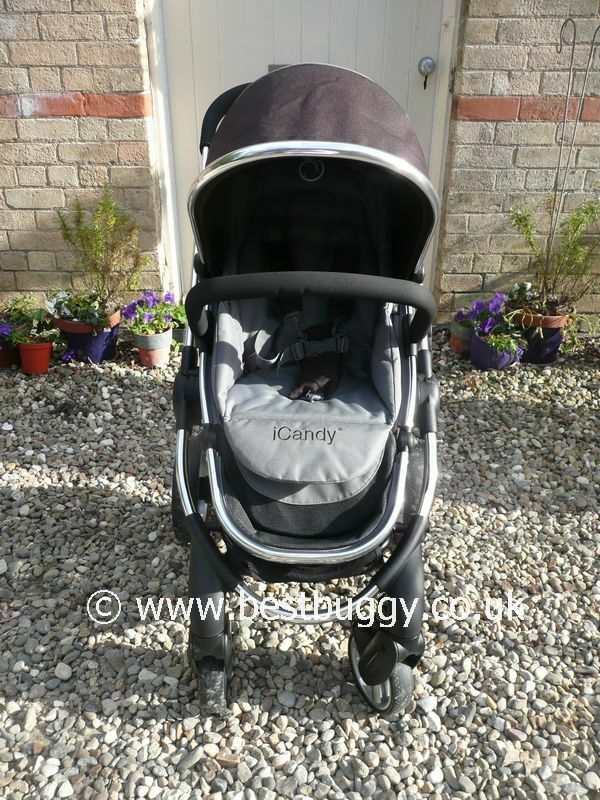 Lower Carrycot very small. Seats small but liners can be removed. 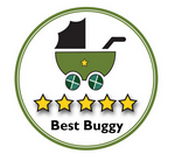 Poor longevity for baby and toddler. 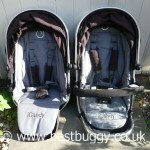 Seats & carrycots different sizes so possibly an issue with same size twins. Basket hard to access as a double. 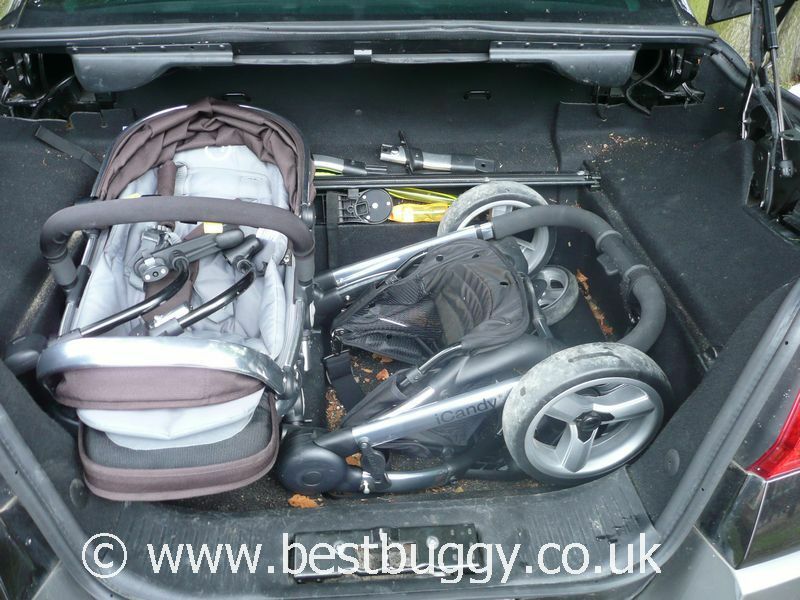 Need to remove toddler to remove carrycot or car seat. Poor access to lower seat. Seats don't stack easily to store. 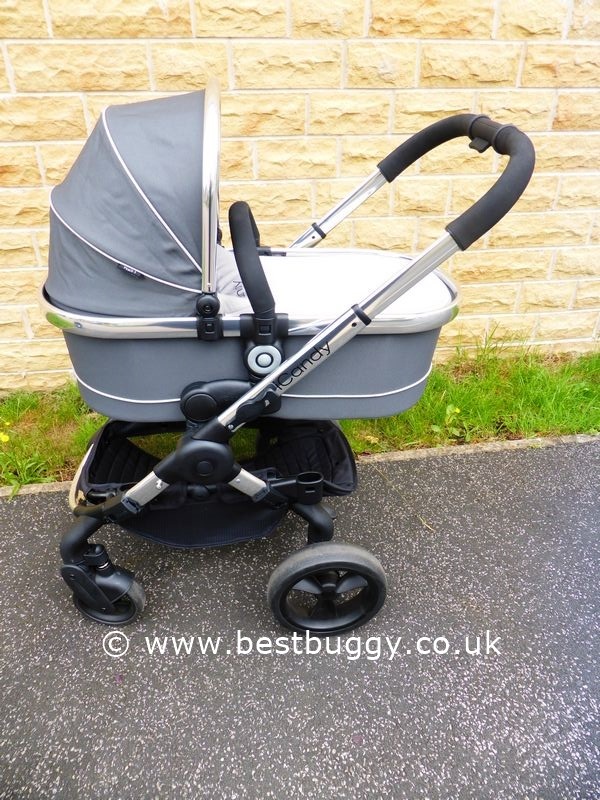 At present you can't use the lower carrycot in the middle as a single stroller. Lots of pieces to put together & store. Expensive. 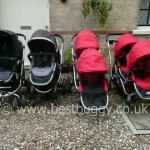 Please note there is no weight listed for the pip convertor, so the weight may well be higher than these. 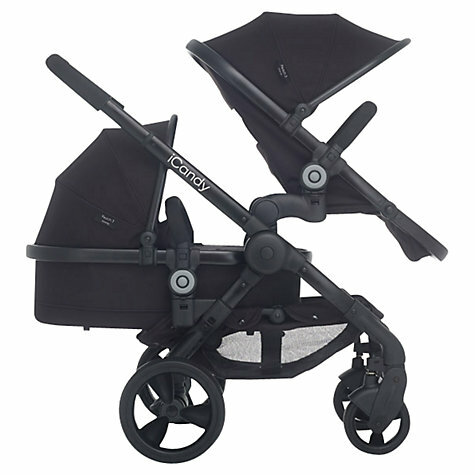 £785.00 for Peach Blossom (Chassis, two seats, two raincovers and convertor); Lower Carrycot £160.00; Upper Carrycot £165.00; Car seat adaptors £30.00 - there is a different set for the upper and lower positions; Cosy toes £64.20. 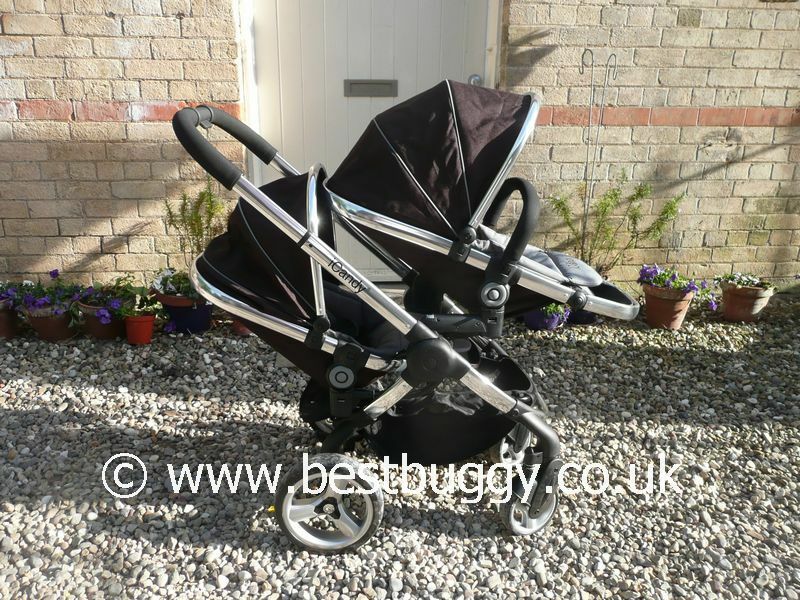 Peach Blossom twin is approx £1,050.00 for chassis, two seats and two carrycots with raincovers. 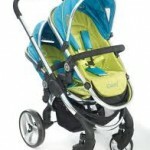 At the Harrogate Nursery Fair iCandy showed us around the new 2011 version of the Peach Blossom. 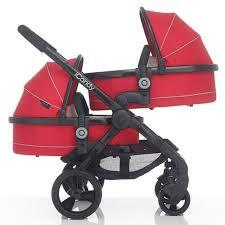 This will have identical sized seats (although there are slight differences), and identical sized carrycots. 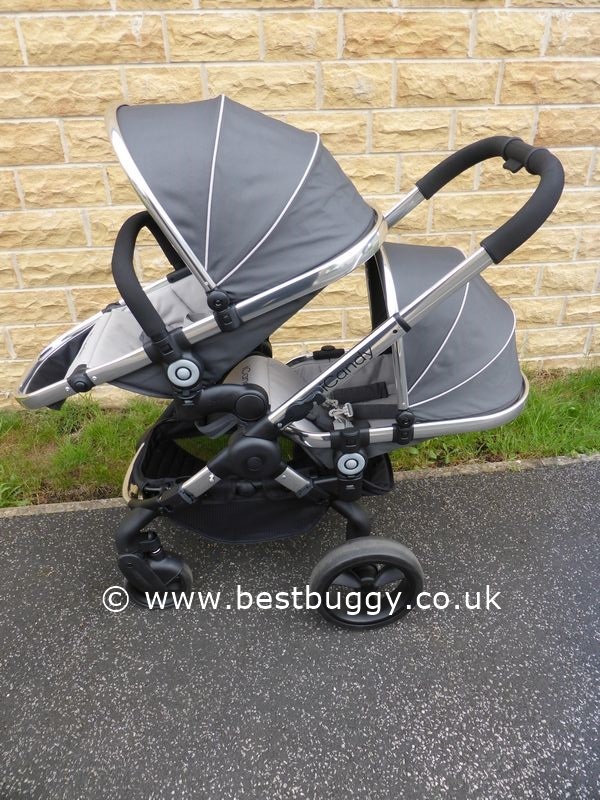 The seats have been pushed further apart to allow two Maxi Cosi Pebble infant carrier to fit onto the chassis and to allow more space between the children. 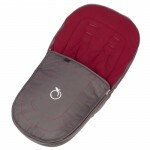 This also allows the back seat to sit upright. The liners 'officially' remove now making more space for older toddlers. All round the new improvements are fantastic and will really really make a difference to virtually eliminating the cons of the Peach. 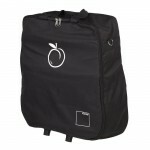 However the new Peach Blossom will be released in the US first in summer 2011 and then the UK at the end of 2011.